Budget allocation: Rs.5, 500 crore. To give continuous and sustainable employment to a large segment of traditional and prospective artisans. 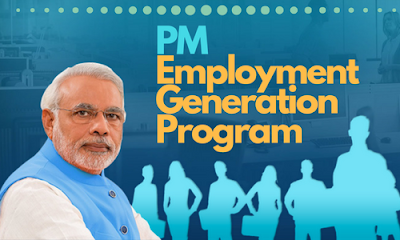 The central government of India has decided to extend Prime Minister Employment Generation Programme (PMEGP) till the financial year 2019-20. This scheme will generate employment opportunities for 15 lakh people with a total expense of Rs. 5,500 crore. Khadi and Village Industries Commission (KVIC) is picked as an agency to implement at a national level. Furthermore, at State or District Level, State offices of KVIC, Khadi and Village Industries Boards (KVIBs) and District Industry Centres (DIC) are the implementing agencies who will act as a mediator. The highest cost of the projector unit admissible under manufacturing sector is Rs.25 lakh, in business and service sector is Rs.10 lakh. Per capita investment should not surpass Rs 1.00 lakh in plain areas and ₹ 1.50 lakhs in Hilly areas. 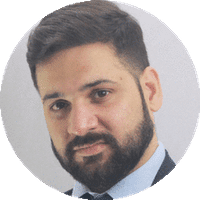 Own contribution must be from 5% to 10% of the total project cost. General category beneficiaries will get margin money subsidy of 25 % of the total project cost in rural areas and 15% in urban areas. Beneficiaries who belong to special categories like scheduled caste, scheduled tribe and women, the subsidy is 35% in rural areas and 25% in urban areas. The extent of Backwardness of the State. The extent of Unemployment and fulfilment of the last year targets. The population of State / Union Territory. The minimum target of 75 projects/district is awarded to all districts on the basis of pmegp application project report to achieve Inclusive Growth. Subsequently, a higher rate of subsidy (25% to 35%) will be applicable for women, SC/ST, OBC, Physically Disabled, NER applicants in rural areas. 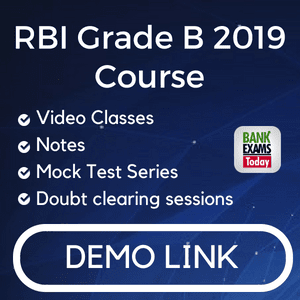 The whole process of application flow and finance flow has been made online which includes receipt of the application, processing, sanction by banks, transfer of margin money subsidy on pmegp loan and creation of Term Deposit Receipt (TDR) in applicant’s name. Second loan amounting to Rs. 1 crore to surviving and better-performing PMEGP units to improve themselves with a subsidy of 15%. Plan of Merging Coir Udyami Yojana (CUNY) in PMEGP. Joint monitoring and evaluation introduction. Compulsory Aadhaar card and Pan Card. PMEGP amendment – serving or selling non-vegetarian food at Hotels, Dhabas and Off-Farm or Farm Linked activities are permitted. Dispensing the ratio of 30:30:40 for KVIC: KVIB: DIC respectively. Working capital component for manufacturing units is set to 40% of the total project cost. Further, for service or trading sector, a capital component is fixed to 60% of project cost. Afterwards, click “Online Application Form for Individual” link to fill the application form for an individual. Here applicants have to fill all the details and click the “Submit” button to complete the pmegp registration process. Finally, registered candidates can make “PMEGP Login (Applicant)” and fill the remaining application form to complete the application process. Applicant's age must be above 18 years of age. At least VIII standard pass for projects costing above Rs.10 lakh in the manufacturing sector and above Rs. 5 lakh in the business/service sector. Only new projects are recognized for sanction under PMEGP. Self Help Groups which belong to BPL provided are not able to get benefits under any other Scheme. Institutions registered under Societies Registration Act, 1860; Production Co-operative Societies, and Charitable Trusts are eligible. Surviving Units which comes under PMRY, REGP or any other scheme of Government of India or State Government or the units which got benefit from Government Subsidy under any other scheme of the central government or State Government are not acceptable.